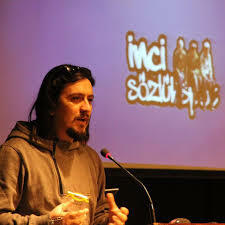 Seminar given by Serkan İnci concentrated on e-entrepreneurship and innovation, particularly in the digital economy. Serkan İnci who is the founder of several e-businesses such as incisozluk.com, uludagsozluk.com, and haberself.com, gave a speech about trends about and challenges of developing innovations. He also lectured about the bitcoin technology, mobile application trends and the importance of visualization in both online and mobile environments. The seminar was open to all of the Boğaziçi University students as well as the academic staff. The seminar was held in Turkish and there were approximately 80 participants who were benefited from this topical event.